Nisbets Catering Equipment Blog - Industry news, trends, recipes and more! : Will Water Restrictions Affect Hospitality? Will Water Restrictions Affect Hospitality? Despite a recent surge of rain there are still fears that the driest winter in 20 years will lead to water restrictions being implemented. South East England has been particularly affected, with rainfall 50-70% below average according to Affinity Water. If water restrictions are implemented, how will hospitality be impacted and what steps can you take? How Do Water Restrictions Work? Usually, the first step local authorities take is to implement a domestic hosepipe/sprinkler ban. Unless you're caring for large grounds, this isn't normally a problem for most businesses. If water shortages become more critical, certain water-intensive businesses may be asked to reduce their usage, such as car washes or plant nurseries - usually just by recycling water, reducing operating hours or by using a little less water where possible. If the situation gets worse, those in catering and hospitality may also be asked to reduce their water use. However, as water is absolutely essential for food hygiene, it's unlikely that a flat ban would apply to caterers. In a worst-case scenario, caterers would be asked to reduce their usage of water intensive appliances such as commercial dishwashers, glasswashers, ice machines or steam ovens / combi ovens, meaning a real slow down in productivity. If ignored, worst offenders could be fined by the local authority, although incidences of this are very rare. As many businesses are charged for the water they use, it makes sense to reduce your water consumption where possible. Not only does this help to prevent the likelihood of water restrictions, it can also reduce your business running costs. One of the worst culprits for water waste is leaks. Even a small drip leak can waste over 16,000 litres of water in a year. 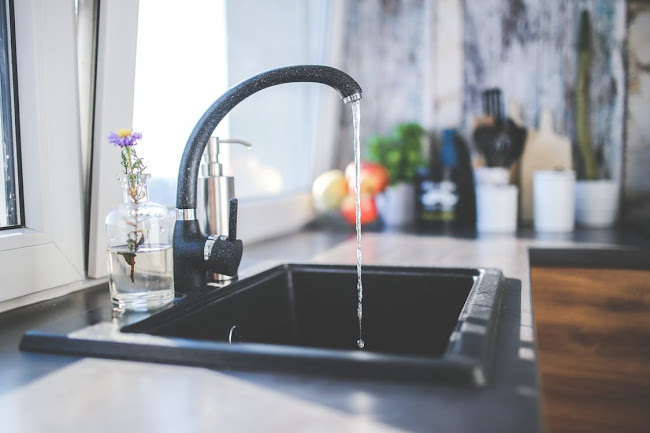 Ensuring any leaks are correctly repaired can lead to substantial water savings and could also help to prevent water damage to the surrounding area. Technology moves fast. Nowadays, there's many products which, until recently, used significant amounts of water and now use hardly any. Products such as water-free urinals and dry heat bain maries have almost the same functionality and substantially reduce business water use. Big, powerful appliances such as combi ovens or dishwashers can use vast amounts of water and energy - especially older models. As such, replacing the machine with a more efficient model can lead to significant savings over time and the machine could pay for itself in no time. 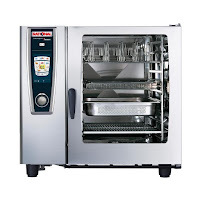 For example, the latest Classeq and Winterhalter dishwashers have rinse arms which spray water at a much higher pressure, which effectively clean and rinse crockery using a good deal less water than standard dishwashers. Where possible, the washing water is filtered and recycled right up until the point that only fresh water can be used. "Eco" modes in commercial dishwashers can also reduce running costs at the expense of a slightly longer cleaning cycle - not a problem during quieter hours. Talk to your staff and make sure everyone's on board. Put up signs. It's in everyone's interest to reduce water usage. It doesn't really matter how super efficient your appliances are if you don't use them efficiently. Firing up a glasswasher cycle for a couple of pint glasses is pretty wasteful. Therefore, maximise efficiency savings by filling your combi oven or warewasher as much as possible before turning it on. Also, refer to the appliance's instruction manual to make sure you're using the correct settings for the task.